FIVE YEARS AGO, Shane Masterson and his partner Anna Gallagher were living above The Lower Deck in Portobello – where they still live – when the opportunity presented itself to take over the downstairs area. At that point, there was little going on in the space and the publican wanted to breathe new life into it. He suggested turning it into a music venue. Masterson and Gallagher are designers who run BASK, a graphic studio. They knew they could turn the venue into something special, but lacked experience in marketing a club night or music venue. They enlisted a friend, Ciara Coyne, to come on board. Coyne had previously worked on club nights like C U Next Tuesday and War so it was an ideal fit. They went back to the publican and suggested that instead of buying a lacklustre PA system, they could redesign and rename the venue. He agreed and the trio got to work. “One of the main things that encouraged us to do it was that we’re all musicians and designers,” says Masterson. “We noticed what was happening at the time in Dublin. There was a lot of club music but a lot of the live music venues that were on a smaller scale weren’t facilitating live memorable performances. They set about redesigning the interiors and installing a good lighting rig as well as an “insanely beautiful backline”. After a lot of work, BelloBar opened for business in 2013 and hasn’t looked back since. 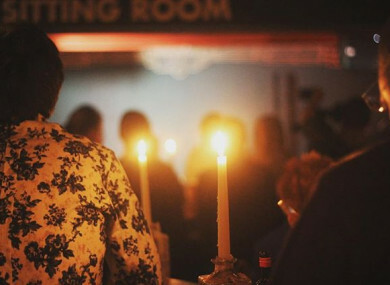 Since opening over five years ago, BelloBar has established itself as one of the city’s primary small capacity venues. (It can just about squeeze 200 people in for a sold out standing show.) Interestingly, it only opens when they are holding an event. They quickly won the respect of local artists operating a fully transparent booking system. In fact, the notions of transparency and community are at the heart of everything they do. The venue isn’t all about local artists, though. Over the years, they have welcomed established artists like Lee Ranaldo of Sonic Youth or Sarah Neufeld from Arcade Fire. Asked for some of the most memorable gigs he has seen in BelloBar over the years, Masterson cites shows from Richard Dawson (“mind blowing”) and folk duo Anna & Elizabeth. A recent performance from Afrobeat ensemble Yankari also stands out. By chance, they had a Congolese guitarist named Pépé Fely with them who has been described as the foremost guitarist of his generation. That’s another cool thing about BelloBar. We’ve had about 500 shows and you think you’ve seen everything, but this month alone we’ve had two or three shows where my mind has just been blown. Lovely crowd and the cosiest of vibes as @enabrennan gets Season II of #FutureProof w @nialler9 & @oharasbeers underway. For Masterson, Coyne and Gallagher, the venue has taken off in a way they could never have foreseen. Not only are they holding gigs, but they’re also playing host to wedding parties and private corporate events. More recently, they have formed a partnership with O’Hara’s Brewery, who sponsor the venue. The deal came about after O’Hara’s sponsored Futureproof, a live music series put on by Homebeat and Nialler9. O’Hara’s were eager to sponsor a venue and BelloBar seemed like an immediate choice. Five years in, Masterson says BelloBar is still very much “in its beta phase”. Even though we’re in our fifth year, we’re still trucking along. The only difference is that instead of having four to five bookings a month, we have minimum of fifteen performances. It’s humbling. Email “'It's humbling': How a little-used pool hall become one of Dublin's most exciting music venues”. Feedback on “'It's humbling': How a little-used pool hall become one of Dublin's most exciting music venues”.